A water feature looks great when you do your very first installation, and with the proper care, it can stay looking great for years to come. What really gives a fountain staying power is a combination of cleaning, proper maintenance of the pumps and drainage system, and the right choice of both location and the actual shape and function of the fountain. When all of these considerations come into proper alignment, you get a fountain that is not only appropriate for where you place it, but one that will require less maintenance and which will also have fewer incidences of requiring emergency servicing. In this article, we'll mainly focus on the cleaning and care of your water feature, as well as some discussion on treatments that you can use for the water that will help to keep your pump system operating at its very best capacity. Turn off the fountain and empty all of the water out. Combine half water, half white vinegar. Wipe the outside of the pump with the vinegar combination. Brush the intake of the pipe with vinegar solution as well. Scrub any mineral build up with the solution. Finally, rinse solution and any residue. In six easy steps, you could greatly reduce the build up of your fountain and ensure that your pump will have a longer operational life. 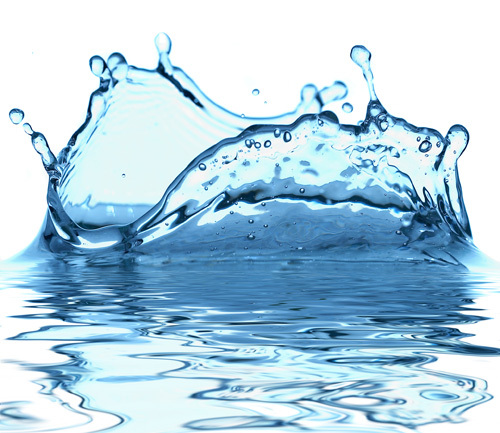 Another option that can help to extend the lifespan of your pump are treatments that you can add to the water supply. You have a few choices of treatments, based on your needs. Any combination of these could produce the results you want as well, but ensure that the chemicals used can be mixed safely, even in small amounts. Bleach, which can help to reduce bacteria levels if there is organic matter or has been organic matter inside of the fountain. Anti-algae water treatments, which can reduce any build ups of biomass, which could lead to blockage of your pump. Anti-scale treatments, which result from mineral build up and other sources. In a majority of cases, these treatments will only need to be used every now and again. At most, you will want to use them once a week. When your fountain isn't in operation, you may still want to do a vinegar scrub before you start it back up again, and also start off with an anti-algae treatment in the event that moisture left over from the winter months has led to growth of algae during the thawing period for outdoor features. These treatments, and mineral scrubbing, can both lead to fantastic results and long term quality.